China Metal Detector manufacturer, Needle Detector, Weight Checker supplier - Shanghai Bofeng Electronics Co., Ltd.
Metal Detector , Needle Detector , Weight Checker , Sorting Machine , Check Weigher. Metal Detector, Needle Detector, Weight Checker manufacturer / supplier in China, offering FPC-1200LG Fusing Press Machine (belt width 1200mm), Wide Scale Fusing Press Machine (belt width 1700mm), Wide Scale Fusing Press Machine (FPC-1400) and so on. Main Products: Metal Detector , Needle Detector , Weight Checker , Sorting Machine , Check Weigher. We-Rehoo Industrial Limited is an ISO9001: 2008 company and a professional inline METAL DETECTOR, DYNAMMIC CHECK WEIGHER, NEEDLE DETECTOR manufacturer and exporter with 20 years experience. 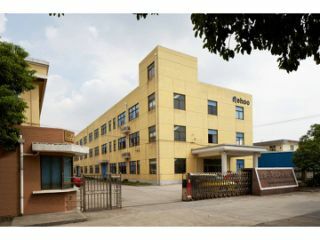 Factory is located in Shanghai, China, also have offices in Hongkong, Guangdog, Qingdao, Henan and Chongqing, have our own R&D, production, sales, after-sale services team.